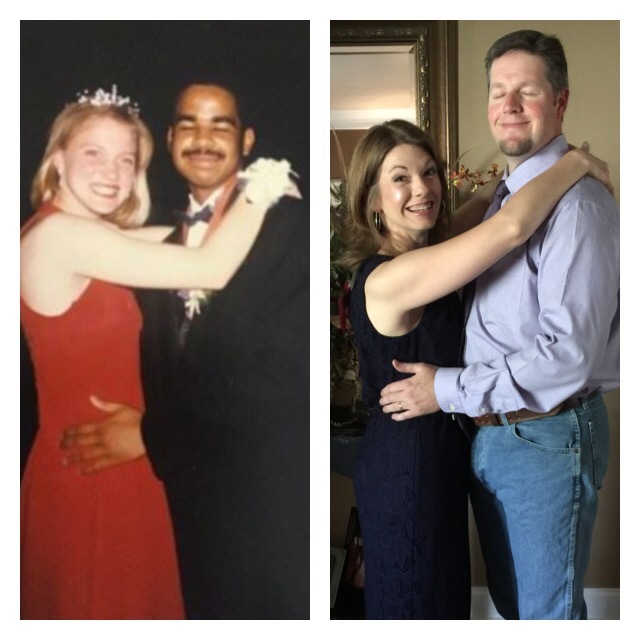 Prom Pics For Married Couples! Ok, this is the second time I’m doing this. I wrote earlier today about going to prom in high school. It got a lot of responses for better or for worse! The best response was a picture my friend sent me of him and his wife mimicking my photo! Yep, he had his eyes closed just like me! Ha! So I was thinking, let’s get some more photos of married couples like the one I took in high school! Guys, your eyes gotta be closed! I’m going to post this on Facebook! Share it if you want. One couple will win a gift card for dinner for two at a restaurant! I’m serious!